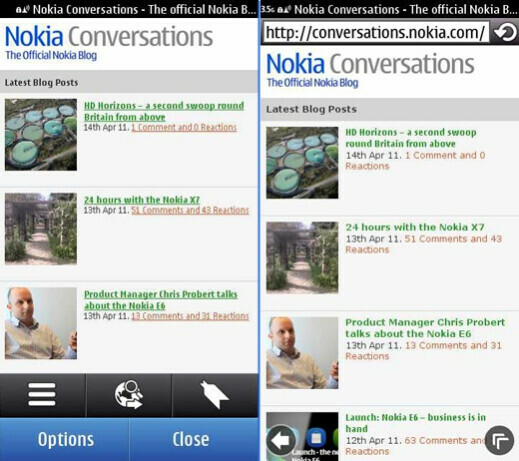 Symbian Anna, the latest update to Symbian^3, brought a lot of new and improved features including an overhaul to the browser, and some of those are ready to hit older handsets, running versions of the platform prior to Symbian^3. 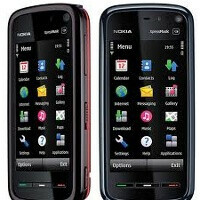 Those include Symbian 3.2 devices like the Nokia E72 and Symbian 5.0 handsets like the Nokia 5800 XpressMusic. The first major feature coming with the update is Browser v7.3 coming with a clear UI and improved performance. Secondly, 3.2 devices will get Ovi Maps 3 SR4 with indoor positioning through Wi-Fi and travel recommendations, while 5.0 phones will end up with Ovi Maps 3 SR6 bringing public transport lines and check-ins to social networks. Finally, all the phones will get a set of emoticons to spice up messaging. The winner of the most idiotic post from last year is? May 2010 @idiot1986-you don't want to comment on what I said because it's true. Apps do not make a handset great unless the handset is already a piece of crap(like the iphone)and needs the apps just to be competitive. And I state again, if android were better, how come the stats say differently? Face it: android will NEVER match let alone beat out symbian. If you do not like nokia so much, then why comment in the first pace? Go run along and play in your android sandbox. LMFAO toooooo funny. Can't wait to add update to my N97 Mini. This little phone is great, feels like a laptop in my pocket. I am using the Nokia c6-00, always wanted to try the new web browser and now, after updating the phone, I am finally using it! Is it better than the old web browser! For some reason NOKIA is very stubborn to add THREADED TEXTING, they are SO FAR BEHIND on this that its PATHETIC! no wonder they are having trouble! they wont keep up! SOME nokia phones have the threaded but MOST of the nokia phones do NOT, i think nokia is purposly not wanting to add threaded texting! What about adding the new music player??? Why not update for the conversation in the messaging??? ?